Black August, a month of political prisoner activism and commemoration, can help remind us of the nation’s exponentially expanding racist prison system. A year ago this month, the streets of Ferguson, Missouri exploded in the wake of the murder of eighteen-year-old Black teen, Michael Brown, at the hands of white police officer, Darren Wilson. The world watched closely as military Humvees and the national guard armed with tear gas and rubber bullets transformed an otherwise quiet town in the Midwest into a historic battlefront for the Black Lives Matter movement, the present-day Black liberation struggle born after the 2013 acquittal of George Zimmerman over the murder of the Black seventeen-year-old Trayvon Martin. 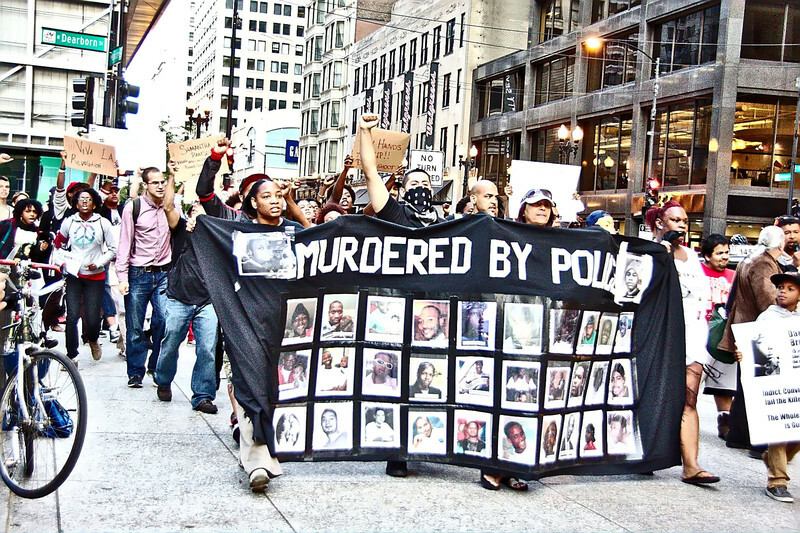 Since the Ferguson riots last August, Black Lives Matter has radically shifted the national conversation on anti-Black racism and police brutality through massive protests, demonstrations, and online mobilizations that have galvanized a new generation of youth of color in the United States and around the world who refuse to allow the police to turn them into another murder statistic. Just last month, hundreds of Black activists gathered together in Cleveland, Ohio in a historic meeting for the inaugural Movement for Black Lives Convening, which featured panels and workshops on Black labor organizing, queer and trans justice, lessons from the Black Panther Party, among others. A new Pew Research Center poll released this month further shows how Black Lives Matter is transforming the racial views of Americans (and particularly white Americans) in astounding ways. According to the poll, 59 percent of U.S. citizens believe that changes are necessary to afford equal rights to African Americans, up from 46 percent just last year, with a majority of whites (53 percent) agreeing. Black Lives Matter and related mobilizations across the country have forced white Americans to take racism and police brutality seriously to the point where most of them have come to agree that that police treat Blacks less fairly than other groups. 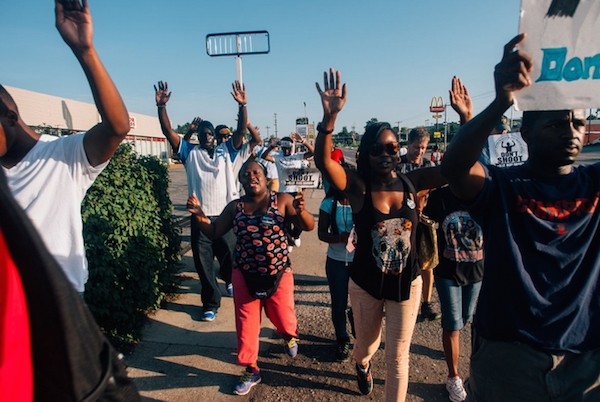 That hot, tragic summer day in Ferguson and the riots they gave birth to last August launched a crucial movement to remind the world that Black Lives Matter. Over the coming months, Black August’s origins within the prison system can help remind us that as Black men and women are being murdered by police on the streets, hundreds of others are being shipped away and locked up in the nation’s exponentially expanding penitentiaries. The United States has the largest prison population in the world—even larger than China or Russia—and Black Americans constitute a disproportionate percentage of that population. According to the NAACP, African Americans comprise 1 million of the 2.3 million total prisoners in this nation, and are incarcerated six times more than whites. Even though Blacks and Latinos compose one quarter of the national population, they comprised 58 percent of all prisoners as of 2008. Although 14 million whites and 2.6 million African Americans report using an illicit drug, African Americans are being sent to prison for drug offenses at 10 times the rate of whites thanks to racist drug policies beginning in the 1970s. As of 2001, one in six Black men had been incarcerated, but if current trends continue, one in three Black men born today can expect to be imprisoned at some point in their lifetimes. Black August can also help us remember that big money is increasingly behind this prison-industrial complex that devalues Black life. The past forty years have witnessed an unprecedented boom in incarceration rates in the United States. According to a report published by the National Research Council, the prison population grew from 200,000 to about 2.2 million between 1973 and 2009, which meant that the U.S. held about a quarter of the world’s prisoners. The period of prison privatization emerged in the 1980s when neoliberal policies began to expand across the globe, with the first U.S. private prison business operating in Hamilton County, Tennessee in 1984 under the Corrections Corporation of America (CCA). Today, privately run prisons are ubiquitous across the nation, even being dramatized on screen as seen in the last season of Orange is the New Black. Meanwhile, on the backs of Black and brown prisoners, CCA reported US$1.7 billion in total revenue in 2011 alone. And Democratic presidential candidate Hillary Clinton, the beloved “lesser of two evils” for many progressives, is just as mired in this racist monster of the private prison system. Last month, it was reported that Clinton was accepting contributions from known lobbyists for two of the country’s largest private prison corporations, CCA and the Geo Group, in addition to her usual donations from Wall Street and the fossil fuel industry. In light of this news, it’s no surprise that Clinton refused to address issues of structural racism when she was confronted by a group of Black Lives Matter activists in New Hampshire earlier this month. “She was not willing to concede that the inherent anti-blackness in the policies that were enacted to address problems is the cause of the problems we have today,” activist Julius Jones stated. In the streets or behind gray prison doors, Black August offers a moment to focus and honor the long African American freedom struggles that are the current movement’s predecessors. In seven years, by 2023, the U.S. will be 40 percent minority, and 50 percent of the entire population will be under 40 years old. These are the demographics that cannot be ignored as progressives move forward building opposition to institutional racism and plutocratic governing. In my thinking, it is incumbent on today’s activists to take into account what America will look like in ten years, so we will be better positioned to ensure the future will not be governed by deniers of change. In this regard, I am raising dialogue toward building a National Coalition for a Changed America (NCCA) comprised of social, economic and political activists who are prepared to build a future-focused America based on equitable distribution of wealth. It is important that progressives seek the means to organize greater unity and uniformity in ideological and political objectives toward the construction of a mass and popular movement. It is well established that the most pressing issues confronting the poor and oppressed peoples are wage inequities, housing displacement, dysfunctional public schools and student debt, climate change, the criminalization of the poor, mass incarceration, and the militarization of the police. In each are negative racial and economic implications creating social conflicts and confrontations. However, the most pervasive and devastating cause for all of these issues is the unequal distribution of wealth. It is well researched and recorded that the wealth disparity, income gap between whites and blacks is 40% greater today than in 1967, with the average black household’s net worth at $6,314 and the average white household’s at $110,500 (New York Times, “When Whites Just Don’t Get It,” by Nicholas Kistof). When we account for how such economic disparity impacts educational opportunities or criminal behaviour in the black community, we are better able to identify the overall pernicious problem. The Brookings Institute reported last July that: “As poverty increased and spread during the 2000s, the number of distressed neighborhoods in the United States—defined as census tracts with poverty rates of 40% or more—climbed by nearly three-quarters.” The report continued: “The population living in such neighborhoods grew by similar margins (76%, or 5 million people) to reach 11.6 million by 2008-2012.” (New York Times, “Crime and Punishment,” by Charles M. Blow). Obviously, America is in increasing economic crisis, especially when considering … “According to a recent paper by the economists Emmanuel Saez of the University of California, Berkeley, and Gabriel Zucman of the London School of Economics, almost all of the increase in American inequality over the last 30 years is attributable to the “rise of the share of wealth owned by the 0.1% richest families.” And much of that rise is driven by the top 0.01%. “The wealth of the top 1% grew an average of 3.9% a year from 1986 to 2012, though the top one-hundredth of that 1% saw its wealth grow about twice as fast. The 16,000 families in the tiptop category—those with fortunes of at least $111 million—have seen their share of national wealth nearly double since 2002, to 11.2%.” (New York Times, “Another Widening Gap: The Haves vs. the Have-Mores,” by Robert Frank). Can there by any serious disputing the reality that this so-called democracy is actually a plutocracy, and the governing plutocrats have us all hustling and scraping for the crumbs, demanding a minimum wage increase, when we should be demanding control of production? Hence, it is necessary for progressives to realize the future of our struggle must be based on participatory democracy, direct-action engagement. It is important for the more educated and experienced activists to teach the younger activists, and young people in general need to know the future belongs to them, and we are concerned about what that future will look like and how to make it productive. It is essential we figure ways to bridge differences between the evolving demographics and growing minority population. For instance, I am heartened to see young people taking to the streets challenging the common impunity of police repression and violence. Indeed, Black Lives Matter! However, I am not confident these protests will result in anything substantial in terms of institutional changes or build a sustainable movement. We remember Occupy Wall Street (OWS) had created similar national attention, but void a national organization, leadership or agenda (demands), it was a matter of time before OWS would dissipate and disappear after police removed the public nuisances. 3. Support the Manifestation of the Dreamers Act—Stop Deportations and the Splitting of Families. These three issues, as they become part of the national dialogue and challenge to the plutocratic government, are able to unite a universal national determination. A one-issue protest/campaign is not sustainable when confronting an oppressive/repressive government policy supported by right-wing corporate interests. However, these interwoven issues reach three demographics of young people, each directly challenging institutions of government. Again, it is important to use the current unrest to forge a unified and uniform national youth movement. Secondly, politically, we need to consider how best to ensure these issues become a major factor in the national debate, possibly imposing them into the national election of 2016. In this way, inspiring and encouraging a mass and popular youth movement organized during the election year of 2016, we empower the youth to be future focused. It is well established that it was the youth who were instrumental in getting Obama elected as President. Despite our collective disappointment with his presidency, the lesson learned is the power of the youth when united and determined to accomplish a task. Again, recognizing that in 7 years the electoral demographics will be drastically changed, it is time to prepare for that eventuality, even if some do not believe in the electoral process. Therefore, during the election year of 2016, not a single candidate will be permitted to conduct a public forum without being challenged by these issues. These would be acts of participatory democracy and direct-action engagement. Obviously, to hold a national rally and march in Washington, D.C. during the July 4, 2016 weekend tells the entire country that young people will divorce themselves from the status quo, becoming independent of the Republican/Democratic party politics. the men, women and children who are incarcerated in Alabama prisons will hold a peaceful protest on Sunday, Feb. 1. Sponsored by the Free Alabama Movement (FAM), the protest will begin at 11:30 a.m.
1000 St. Clair Road in Springville. and Donaldson Correctional Facility, all went on lockdown at some point in the past 10 days due to violent-related incidents. On Jan. 25, several men on death row at Holman held a peaceful protest. used pepper spray to punish the peaceful protesters in the segregation unit at Holman who were also protesting the inhumane living conditions. Derrick LaKeith Brown, has been hospitalized with injuries for a week. Prison officials Warden Walter Myers and Captain Darryl Fails, and others, removed James Pleasant from his cell at Holman on January 23, 2015, and told him that he, Robert E.
His release Tuesday after a hearing in Baltimore Circuit Court was a result of the “Unger” decision, under which the state’s highest court ruled that jurors had been given improper instructions in cases tried before 1980. More than a dozen people were released last summer as a result of the decision, and officials have said as many as 200 others could be released. Under the agreement, Conway’s conviction stands but he was re-sentenced to time served. He will be on supervised probation for the next five years, the agreement says. But Boyle added that had Conway decided to press his claim under the Unger decision, he could have mounted a strong defense in any retrial. “It was an extremely weak case against him,” said Boyle, who has worked on a number of cases involving wrongfully convicted Black Panthers. The Baltimore branch of the National Association for the Advancement of Colored People hailed Conway’s release as a triumph. But police union officials said they were troubled by the release. In addition to Sager’s death, another officer, Stanley Sierakowsky, was wounded. “It’s a very difficult thing to learn, after all these years, that he’s not going to fulfill the sentence he was given, which was life,” said Gene Ryan, vice president of the city’s Fraternal Order of Police lodge. 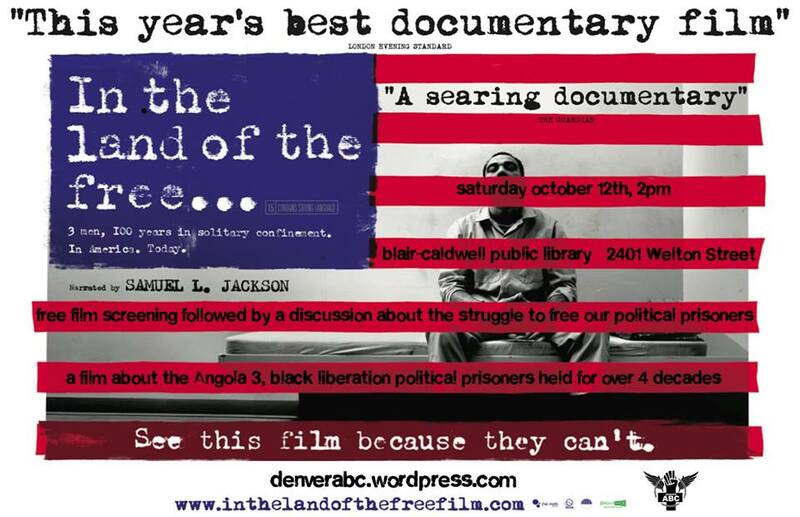 Please join the Denver Anarchist Black Cross at the Blair-Caldwell Research Library on Sat 10/12 starting at 2pm for a movie showing and discussion afterwards. 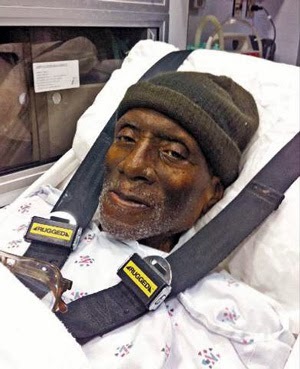 Herman Wallace was released last week, only to fatally succumb to his battle with liver cancer after a mere 3 days of freedom. 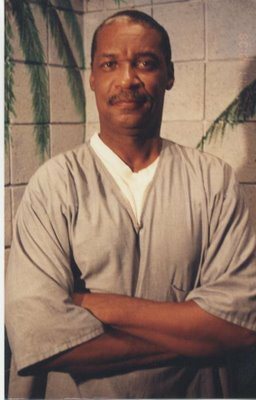 Please join us to honor Herman, and discuss local efforts to ensure the freedom of his co-defendant and final imprisoned member of the Angola 3, Albert Woodfox. 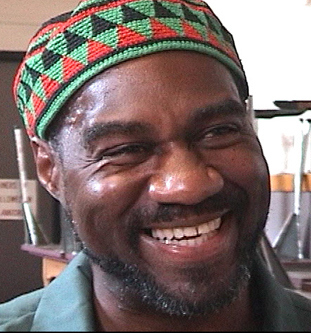 For more information visitwww.angola3.org andhttp://angola3news.blogspot.com/.